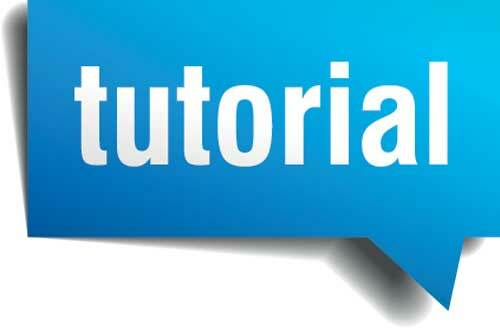 Welcome to the tutorial section for Cathe Live and our OnDemand videos. Cathe OnDemand and Cathe Live are available for viewing on the web, and Cathe OnDemand can be viewed through our iOS App (for iPhones, iPods and iPads running iOS 9 or newer), our Android App, our tvOS App (for Apple TV version 4 or newer), or our Roku App (for Roku 3 or newer). Both Cathe Live and Cathe OnDemand are also available on Fire TV. Tutorials below cover how to connect your iOS device directly to your TV using cables, watching video streamed to your television through Apple TV (version 2 or newer), Roku and Google Cast (aka Chromecast), and adjusting video quality in the Cathe OnDemand iOS app. After installing the app from the App Store, launch it and type the address https://cathe.com/stream into the address field at the top of the browser to get to the Cathe Live website. Use the “hamburger” icon in the top right corner of the web page to go to “My Account,” log in, then tap it again to go to “Cathe Live” to view all of the live videos. Now, before you begin playing a video, tap on the Chromecast icon in the upper right corner of the app (it’s red and looks like a small TV screen) and choose your Chromecast device. Make sure that your iOS device is on the same wireless network as your Chromecast or your Chromecast will not show up as available. Once you finish this, you are ready to cast video. Now, tap on the Cathe Live video you’d like to play and it should automatically start playing on your TV via Chromecast. In “free” mode, the app will only play video for a short time before stopping. You will need to make the in-app purchase to “Pro” to disable this behavior. Tap on the stacked dots in the upper right corner of the screen and tap “Upgrade to Pro” in order to do this. The cost is $1.99. Press the “OK” button in your web browser, then press the “Add Channel” button. It normally takes about 24 hours for the channel to appear on your Roku, but if you’d like to speed that up, go to Settings > System > System Update on your device. Cathe OnDemand will appear in your channel list when the process completes. Last, on your Roku scroll until you see our Cathe OnDemand app and select it. Log in using the same user name and password you use in all of our apps and to log in to your streaming account on our site. *Our OnDemand videos have only been tested on Roku 3 devices and newer (although Roku will let you install the channel on older/lower model devices—there is no way for us to control this). Older Roku devices may not work correctly because of their inability to decode high quality HD video reliably. Lastly, on your Roku scroll until you see our Cathe Live app and select it. Log in using the same user name and password you use in all of our apps and to log in to your streaming account on our site. *New Cathe Live workouts will take longer to appear on Roku ( usually 2 -5 weeks weeks later) than they do on our other apps, but once IBM makes some improvements to their API this will no longer be an issue. *The following instructions for our Apple TVOS apps are only for people who signed up on our website, not Apple’s. If you signed up through Apple you will need to follow their instructions which are the same for every app. 2) Scroll to Apple App Store and click on it. 3) Click on search located on top right of screen. 5) Scroll over and Click the Cathe app you want to install and a new screen will come up. 6) (on this new screen) Click install. This will start installing the app on your Apple TV. 7) Once this is done installing it will say open where it once said install. Click on where it says open. I have Microsoft products that I could bring with me to the gym: the Surface tablet or my Windows Phone. Is there any functionality with these products? I am having trouble with on demand and live videos freezing. Is anyone else experiencing these difficulties and how can I resolve these issues? This is something were starting to work on this week and just bought a roku 3 to test with. We will make an announcement once we have this working. I also have a roku, microsoft computer, and and apple iphone 5.
also, I am a little confused – Cathy live is just what you are broadcasting at the moment? would I be able to workout and use it later in the week or is that considered on demand? All our live broadcast are also recorded so that you can watch them whenever your like. Any new info on how to stream videos from On Demand and Cathe Live on the TV using a Roku streaming stick? I want to subscribe but only if i can view the workouts on my TV. I’ve had the streaming for a few months now and my wireless modem has been updated, but the streaming is not consistent every morning. The newer videos work one day but not another. Constant freezing and very frustrating because my time in the mornings are limited. How can this problem get fixed? I really enjoy having this option. Your wireless modem only has a little bit to do with your ability to receive streaming. You need to do a speed test when you have an issue at the time you have the problem. A good site to test at is http://www.speedtest.net/ My guess is your internet is dropping to below an acceptable level. This can be an issue with a lot of cable companies and ISP’s. Give the test a try and report back with you’re download speed and we can help you further. Can we stream through Roku yet? Not yet. You won’t be able to use your Roku until after we release our new streaming delivery system. I am a 50 year old man attempting to overcome my technological ineptness and set this up for my wife Julie. Is a ethernet cable needed? If so, my tv is about 20′ from my tv. Is it ok or possibe to hook a ethernet cable together to reach? Also it says on the tutorial I will need an ‘Apple device’ can you clarify for me.? Also it says an Iphone 4….so that is what my phone should at leat be correct? Also it says ‘device should be on the same network as my apple tv…can you clarify that also? And so the ethernet connection is better than a Wi-Fi connection? Is there a charge for I-tunes connection or are all the icons, such as netflix and HBO go, included? What speed internet should I have to start with? Sorry I am so technologically behind and thanks in advance for your diligent response. 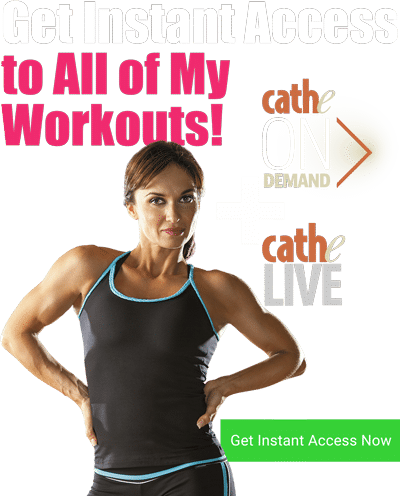 I subscribe to CatheLive/OnDemand, when will Ripped w/Hiit be available to view “On Demand” . Also any progress on streaming with Roku? My download speed is .79; I did the speed test due to freezing. What do you suggest? Can you please tell me if you have (or are planning to soon have) an App for the Samsung SmartTV? I would like to view videos and classes on my new SmartTV if at all possible. Thanks for your help! That’s not something we can do. Samsung stopped supporting Flash players which is why you can not use their browser to view our videos. You can still hook up your device by a cable or use chromecast or Apple TV to view our streaming videos on your Samsung smart TV. Our new streaming service doesn’t use Flash and might work, but we haven’t tested it yet on Samsung smart TV’s. the best $20 I ever spent. I get to workout w. Cathe everyday as if I am in the health club w/out actually leaving my house. I love Cathe On Demand!! However, I’ve noticed that some of the videos stop streaming before the program is over. For example, on one of the live episodes, it ended during a tricep exercise. Some of them don’t make it to the cooldown/stretch. We haven’t had any other reports of this. Sounds like you’re losing your internet connection for some reason. I finally got a Smart TV and figured, OK a side bonus of having a great tv now with HD and a beautiful picture is that I can do Cathe Live. I gave my daughter my Roku because my TV gets the internet, Netflix and lots of other things. Well, I got a Samsung only to find out from reading the above comments that Cathe Live won’t work on the Samsung Smart TV. I went on my Samsung TV and connected to the internet using the browser it came with. I went to Cathe.com and then to the Cathe live test. I ran the test on my Samsung Smart TV and it played just fine. Yet, it says above (a comment that says it’s from Cathe) that Cathe live won’t work on Samsung TV’s beacause they stopped support Flash players. My question is this: Will it work on my Samsung TV? The test played just fine. However, I don’t want to spend the $ for Cathe Live if it won’t work. For all I know even though the test played fine, maybe it would freeze in the middle, or stop working, or whatever during the real thing. Keith: you asked a question above and I can probably give you a little bit of an answer, but I may be all wrong. I’m just a fellow exerciser and probably don’t know what I’m talking about. The cheapest way to get Cathe Live is probably the Roku-and according to Cathe.com they are coming to Roku soon. With Roku or AppleTV you have to buy something that it hooked up to your TV. The cheapest Roku device is about $50. There are more expensive models or Roku’s so you’d have to do research-maybe you’d rather have a more expensive one. I have a the cheapest Roku and it has HDMI and the regular hookups. The AppleTV is $90. With Roku you don’t need anything else-just the Roku hooked up to your TV, and internet of course. I don’t know if you can use AppleTV without the iPhone. If you already have the correct iPhone or if you don’t need the iPhone to watch CatheLive on the AppleTV, maybe you’d rather have the AppleTV. With me, money is a big issue. I want the least expensive, and I don’t want a monthly fee-other than the $9.99 for Cathlive or course. I don’t use the phone much (i have a tracfone and pay around $30 every 3 months for minutes.) so I don’t need a iPhone. With the Roku and Apple TV you will get free channels and have access to channel you will have to pay for. Netflix, Amazon, Hulu Plus are amoung ones you’d have to pay a monthly fee for. Just like you’ll have to pay $9.99 for Cathe Live. Hooking up your device-Roku or AppleTV is supposed to be better with a Ethernet would be better than wireless. However, we hook up our Roku wirelessly and it works fine-we don’t want the cable going all around the room. We have a good wireless router ($80-100) and good internet. If you have a wirelss router, try it like that first. If you have interruptions, you can always hook it up with the Ethernet then. Please provide the specifics on which Roku your channel will be offered on. We haven’t tested our streaming videos on Samsung smart TV’s. Others who have Samsung Smart TV’s have reported that our videos don’t work, but these are videos on our old streaming network, not our new streaming network. Samsung stopped supporting flash video which our older streaming network uses. Our new network uses html 5 and might work on Samsung smart TV’s, but we haven’t tested yet. You might want to try some of our older videos which are still delivered on our old network and see if they also work. Cathe OnDemand will be on what is known as a private Roku channel.  Once we’re up and running we will provide details on how you can access our videos on Roku. I love your Imax Live, bloopers and all!!!! I hope you will do more live step classes!!! Thank you! I want to get this. I have the oruginal Roku snd that is how i sream. Does this work yet? I too want to know when the Roku Cathe channel is available. I just wanted to add another Roku comment. I figure the more people wanting it, the more likely it is to go to the top of the list! As soon as this is available via Roku, I’ll be signing up as well! Thanks Cathe for providing this awesome service. I just subscribed to Cathe Live and used it a couple of days ago. I’m a big fan and have been for years. Now I’m using it to cross train when I’m not jogging. I’m able to use it on my laptop or iPad but am anxiously waiting to be able to use it on my Roku so I can watch on TV. Thanks for all you do! Everything is working now and love the streaming. It is there anytime I want it. Great price and great workouts! Thank you. Got the email and signed up for my service w/ my Roku! Thanks Cathe!!! really follow a live broadcast. We have two Roku devices. Can I link a second Roku device so we can use either one? Thanks. Is Ripped with HIIT available with On Demand yet? Yes, Ripped With HiiT was made available on our OnDemand network the same day the DVD’s were released. Is there a particular version of Roku that I need, or does it not make a difference one way or another? I am considering signing up to Cathe Live and would like to know if it’s possible to play through Roku. I travel a lot, will Cathe on Demand allow me to workout from different locations and TV’s? Yes, as long as you have a good broadband internet connection you can view from anywhere. Currently only our OnDemand videos are on Roku. We will eventually add the Cathe Live videos, but that’s a little down the road. Roku 3 is what you need and the only Roku device we have tested on. I’m new to all things “Cathe” and I subscribe to on-demand and live. I have really enjoyed it so far! I really wish there was a description of each video–sometimes it’s self explanatory from the title of the video, but most of the time I’m going to ShopCathe to look up different videos to see what’s included in the workout (is it steady state cardio, circuits, cardio and weights, all strength, blasts etc. ), which is really time consuming and frustrating. It would also be helpful if equipment needed was also listed along with the video description. Also, is there a way to do pre-mixes? Some of the workout rotations have pre-mixes and not for sure if that’s even possible. Thanks! will you ever be offering the ‘cathelive’ for download? I’m very disapointed! I signed up for the video streaming and have had so much freezing. It doesn’t matter which device I’m using. Needless to say, my workouts have become very stressful! That means you probably have a very low internet connection speed. The problem is not with your device, but with your ISP. If you click on the “HD” button on the player after you click the play button you can select a lower quality feed that may help you, but you should also do a speed test at http://www.speedtest.net/ so you can see what your internet connection speed is. This will tell you what is causing the problem. Selecting the low quality option on the player should help you, but you should also contact your ISP about upgrading if your speed is under 20 mbps. We don’t have any plans of making Cathe Live videos as downloads. Cathe Live videos are only available on our streaming service. Is the Roku channel going to be available in Canada anytime soon? Is Cathe live available on roku yet? I was also wondering if Cathe Live was going to be available on the Roku channel anytime soon. I’d love to be able to access those workouts on my regular tv set, but it looks as if they haven’t been added yet. We haven’t even started on this yet. All of our development time currently is being spend on deploying and developing the Workout Blender. Not sure when we will get to adding Cathe Live videos to Roku. Sorry I mean Chromecast, not Google Chrome!! Oops! I tried to hook my MacBook Air up to the TV but the sound only comes out of the computer. Is this a known problem? Thanks! That just means you have a wrong cable or something not hooked up right. A Mac Air will play Cathe Ondemand videos on your Tv just fine. I just have a laptop so the screen is a little small. The airplay icon is not showing when trying to view videos on the TV but I can go to youtube and play any video using the airplay for the Apply TV. Will this be available on Amazon Fire TV? Just wondering why Cathe Live is still not streaming in Roku???? Does the the Amazon Fire Stick work the same as the Google Chromecast way? Thank you. Mainly because it’s a lot of work to make this happen and we don’t have the time to work on this right now. Currently, we’re working on other much higher priority projects. Our plans are to eventually add Cathe Live to Roku, but this is still “a down the road project”. Currently we’re working on adding the DVD Premixes to our Workout Blender and finishing our mobile app. Until these projects are finished we can’t start working on anything else. I just bought a Vizio ultra-high definition smart TV. Do I need Roku or Apple TV equipemnt to view your videos? You can certainly use Apple TV or Roku for Cathe OnDemand, but you can also just get the appropriate cable for your device and hook it up directly. Can you also stream from the amazonfirestick? No, the Amazon Fire stick is only for videos on the Amazon network. Cathe- what’s the best way to access your content? Is there a way to access the premixes with Cathe OnDemand? All new videos we produce are added to Cathe OnDemand and included with the subscription price. Question: I have an older TV, but I still want Cathe live. Can I burn Cathe live workouts on a DVD Player, then play them on a DVD player linked to my older TV? I was wondering if I can get Cathe On Demand through my XBox 360? (Old tube TV) Will the premixes be coming on anytime soon? No, Cathe live workouts are only available through our streaming network and can’t be recorded. So does this mean that it won’t work eight the XBox 360 too? I meant on not eight! So I am trying to stream via Roku 1 and am about 95% I am doing everything right, but am still having issues. I go and try to load to videos on the roku device but it won’t. What’s the deal? Do I just need Roku Device 3 or newer?? We only have tested and support Roku 3. We’ve never tested on a Roku 1, but I doubt a Roku 1 will work. videos freezing. This has been happening for awhile. Can we fix this? This is something you would have to fix on your end as we’re not experiencing any issues with either our OnDemand or Cathe Live videos. Usually problems like this are caused by a slow or lousy internet connection. Three things you can try are rebooting your router, rebooting your computer and clearing your browser’s cache. I would also strongly suggest running a speed test at a site like http://www.speedtest.net/ to see what your internet speed is. This will help to indicate what may be causing your problems. On our OnDemand system you can also click on the HD button on the player and select the low quality option.On Cathe Live select the low quality videos, not the high quality videos. This can help user’s with a low internet connection speed. Good luck and let us know if these tips help. Cathe, I can watch some of your DVD’s on my Amazon Fire but will you be looking at streaming with Amazon Fire in the future or only Roku? Hi Cathe, thank you so much for Cathe Live! I absolutely love having all that variety 🙂 I carry my MacBook downstairs and connect it to my TV via an HDMI cable. Looking forward to when Roku 3 is supported with Cathe Live. BTW for everyone’s reference I have a slow DSL internet speed of only 3mbps. Cathe Live works perfectly using low quality. I’m a huge fan and have been exercising with your DVDs for 10 years. I’ve been enjoying working out with my Roku versus the DVDs since you started with Roku. I have very good, high speed internet connection, however your station drops and reloads so much I’m going to have to go back to DVDs. My ISP said all steaming stations are not created equally and some use more power. I get Beachbody, Hulu, Acorn, Netflix and Amazon with perfect, no interruption service. Your station is the only one that drops and reloads so much it’s pointless to continue. subscribing. I would suggest lowering your band selection by clicking on the HD player and selecting a lower bandwidth selection. Our Roku broadcast use a much higher setting than say netflix does. If you’re having an issue it means your internet speed isn’t good enough. Can you do a speed test at http://www.speedtest.net and let us know what the test shows? I am currently paying for Cathe Live and I would like to upgrade to on demand. I can’t find any information on doing that. Please help. Thank you. Please contact customer service at support@shopcathe.com . They will gladly help you. How do I save my favorite workouts to access later? I have the same question, how do I save my favorite workouts to access later? Is there a way I can flag live videos that I’m interested in and want to try later? Or store my favorites? There are so many to try and its get confusing trying to remember what I’ve done, what I liked and what I want to try. You can’t do this now, but when we release our Cathe Live App you will be able to do this. Since I have just about every Cathe DVD ever made…I would like to know just how to stream the live classes for something different. I understand there is a cost of $9.95 per month but the above tutorials seem to be just about setting up Cathe On Demand? I am just interested in a tutorial for the Cathe Live, then I will sign up. I just want to make sure I have the capability. It seems like all the above tutorials took me to where you go to pick out your favorite DVD’s to watch, not where to go or the live classes? To add to my previous comment. I was planning on using my iPhone for app to plug through Apple TV in which I will purchase if this is doable for the Cathe Live only. Hey all. I am streaming live from my iPad through my Roku using an app called iWebTV. It’s not perfect but it fits the bill until there is a Cathe live roku channel. Can I stream Cathe on demand via my Wii? The OnDemand does not have Cathe Live videos. It only has Cathe OnDemand videos. The Cathe Live videos will soon be on their own app, but this has not been released yet. How do you Google cast Cathe Live videos when using iOS then? • After installing the app from the App Store, launch it and type the address https://cathe.com/stream into the address field at the top of the browser to get to the Cathe Live website. • Use the “hamburger” icon in the top right corner of the web page to go to “My Account,” log in, then tap it again to go to “Cathe Live” to view all of the live videos. • Now, before you begin playing a video, tap on the Chromecast icon in the upper right corner of the app (it’s red and looks like a small TV screen) and choose your Chromecast device. Make sure that your iOS device is on the same wireless network as your Chromecast or your Chromecast will not show up as available. Once you finish this, you are ready to cast video. • Now, tap on the Cathe Live video you’d like to play and it should automatically start playing on your TV via Chromecast. • To control the video, tap on the bar at the bottom of the screen and it will open a window with a scrubber bar and Play/Pause controls. • In “free” mode, the app will only play video for a short time before stopping. You will need to make the in-app purchase to “Pro” to disable this behavior. Tap on the stacked dots in the upper right corner of the screen and tap “Upgrade to Pro” in order to do this. The cost is $1.99. If you’re asking if you can view using a web browser the answer is yes. I am a new user. I am trying to play the Cathe live video stream on a Dell Laptop with the Chrome Browser. I do not have an issue with “Workout Blender”, but I the Cathe Live and the OnDemand will not play. The screen goes white and the videos do not load. Is it possible to stream via Browser, or only through an APP? Also, if it is possible, which browser and plugins are optimal? Is the workout blender supported with iPad? All I can see to do is select custom vids I have already made. I can get to the menu that the tutorial shows. Thanks, love your site and your workouts!! You can only create workouts in the Workout Blender on a computer. You can view Workout Blender videos you created on your iPad, but you need to use our iOS app. I’d like to cancel my current membership but don’t see the option on your site. How do I stream on my Kindle Fire? It pauses…. then starts again…. I stream Live to a Roku 3. Everything was working fine until the last 3 uploads for 04/19/2018, 04/26/2018 and 05/03/2018. These workouts show up on the menu but won’t play. They go to the Retrieve screen and never load. All older workouts working just fine. What’s wrong? Is Cathelive available on roku yet? I know Cathe OnDemand is. I just added it to my roku today. Thank you in advance for your response. The Using Cathe OnDemand and Cathe Live Apps on Apple TV 4+ leads me to believe that I can access the live or recorded videos, not just the OnDemand DVDs. However, I am not seeing a place to stream the recorded live videos on my Apple TV 4. Across the top, I can pick from Cathe Workouts, Favorites, Shared, Search and Setting but no live or recorded OnDemand. Is there a quick and easy way to access the Monthly Rotations from the Cathe OnDemand App? Hi Jeannine, our monthly rotations are only available from our website, not our OnDemand App. If I ordered the LITE workouts (Downloadable) will I be able to access them on the OnDemand app? Which tv is best to stream Cathe Live? I subscribed for Christmas only to discover that I have the dreaded Samsung tv in my workout room and the workouts don’t play. Thank you! Yes, LITE is available now on Cathe OnDemand. HI Can I get Cathe on demand and Cathe Live on my new MacBook Air. When is March rotation coming out? Hi Patti, rotations are usually published on the first Monday of each month.